If you’ve own or operate a restaurant, cafe, slow food, boutique coffee shop, street bar, fast food, pizza store, ice cream shop or anything food releated, you know that you need a good looking website. For those people we created a Cuisine template (Joomla 3.4+), it can be used also for Food truckers, Street vendors, wineries and small food businesses around the world. Great colors combination and friendly and attraction design for your customers. Template package include a range of restaurant specific features. Most importantly, it’s unbelievably easy to set up and customize. We know that our enjoyment of food is about more than how it tastes. People’s perception is typically dominated by what their eyes see, and good made website with high quality photos can help increase sale (online orders) and traffic in your restaurant local as well. We hope that our template can help you businesses grow, because internet is the perfect place to reach out to your potential customers. If you’re passionate about food, cooking, cuisine, etc., you will definitely want to use it for your current website or next project. No matter what kind of content your website will contain, the template will take care of representing every single part of it in an elegant and professional way on any device. By purchasing a professional Cuisine template you can take your site to the next level without touching a single line of php/html code or hiring a designer. Quickstart include demo data installer (Joomla 3.4, Template, all used extensions and example content). 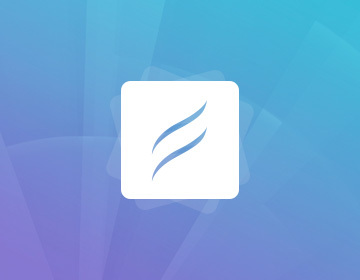 This allows you to quickly restore demo appearance and build your own website. Enjoy! Helix3 is a user-friendly, highly customizable and easy to integrate solution to build your next Joomla 3.4+ website based on your idea or client request. Perfect to use as-is or as a starter template for restaurant, coffee shop and other food business. 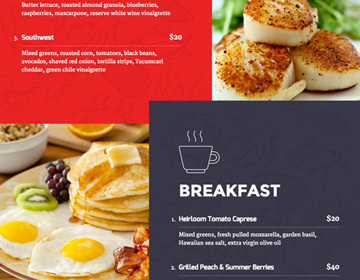 It is a small-business template built with Restaurants in mind, however, the theme can easily be adapted for any business that needs modern design. 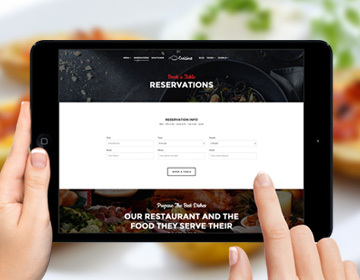 It comes with online booking (reservation) feature designed specifically for restaurants. Keep your website up-to-date and your food business one step ahead, take full control over responsive design. With over 41+ premium addons included, you can build any layout, even without modules. 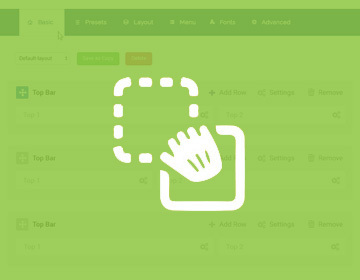 A Page Builder Pro was included in QuickStart only, worth $39. Cuisine package is here to take your food related website to the next level. Looking notably good on mobile devices even with its booking form features. Google Mobile friendly. Off Canvas – Separate Mobile Menu, option to hide modules in mobile views. It comes with two unique design layouts (classic and modern) and 6 color presets to help ensure that there is a style that suits your needs. We also didn’t forget about easy customization options. 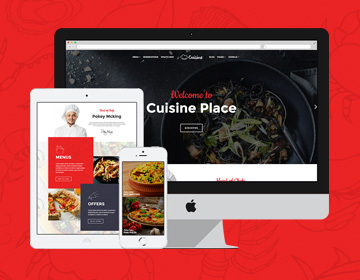 With Cuisine anyone can successfully create and manage a website. 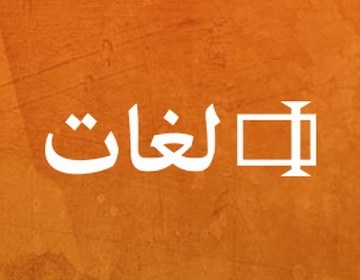 It supports all middle eastern languages: Arabic, Persian and Hebrew (right-to-left). Using clone of template you can also interchange module positions, which can help you with logo and menu position.